Completion of the registration link is an application and does not guarantee participation in the event. Selected players will be contacted by March 5 confirming their participation in the event and to facilitate next steps. Though the 2017 event included players 14-16 years of age, the 2018 event will not. There will be additional opportunities announced for the older players later this Spring. 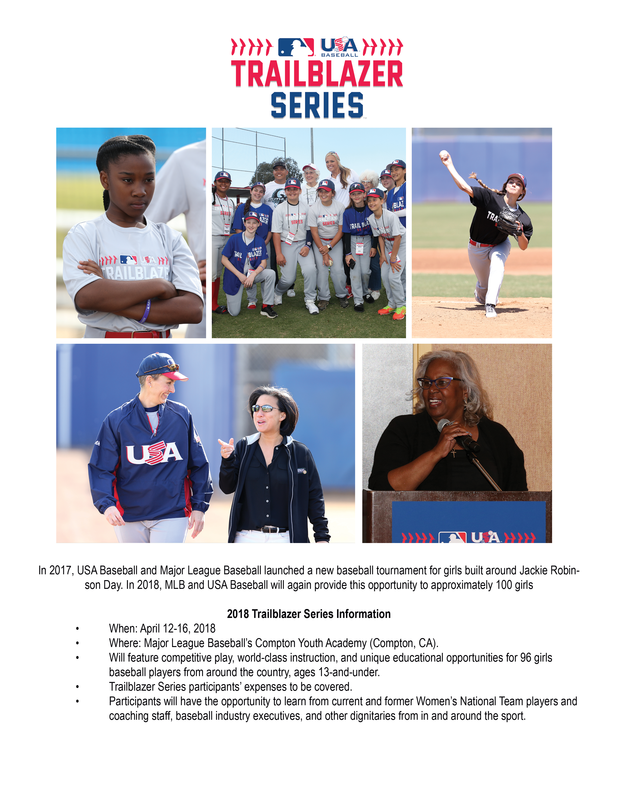 Check out this Baseball event '2018 Trailblazer Series (Application)' with MLB / USA Baseball Development Programs!